The third quarterfinal match in the Glory Kickboxing Bantamweight (122 pound) tournament. With Irina Mazepa taking Iman Barlow’s place in the Glory Grand Prix, a new reserve bout has been put together and will happen at Glory 32 in Norfolk, Virginia July 22. 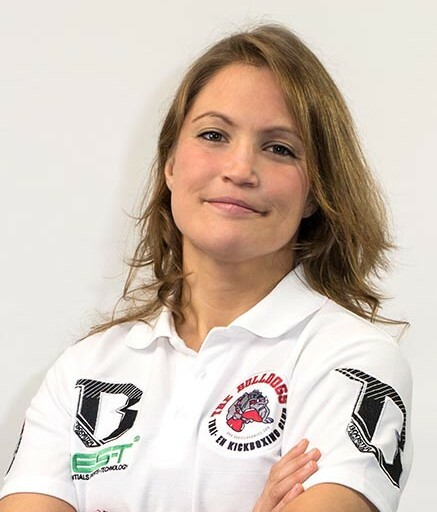 Belgium’s Vanessa De Waele and Turkey’s Funda Alkayis (28-2, 12 KO) will square off to see who will replace an injured fighter in the tournament. The second quarterfinal will take place at Glory 31 between Netherland’s Isis Verbeek and Russia’s Mazepa in Amsterdam June 25th. Both fights will stream live on UFC Fight Pass. Carina Damm has an opponent for her TitanFC debut. Sarah Alpar has stepped up to take on the long time vet at the promotion’s June 10th event in Coral Gables, Florida. It will stream on UFC Fight Pass. InvictaFC 17 loses a bout, but gains a new fighter. Mizuki has dropped out of her match with Aline Serio due to injury, so Kaline Medeiros has stepped up to take her place. Medeiros (6-4) has a KO of the Year win over Stephanie Eggink, and has a kimura win over Sarah Payant in her Bellator bout last year. The fight is still announced at strawweight. Julia Jones is out of her InvictaFC debut against Tessa Simpson due to injury, so the match has been scrapped. One of the top stars of Muay Thai will look to dominate two sports at once. It was announced this week Lion Fights champion Tiffany Van Soest has signed contracts with two UFC Fight Pass staples, InvictaFC and Glory Kickboxing. Over two years ago, Lynn Le had a vision: to make female fight gear that actual fit and was more reliable. Le soon began her journey giving creation to Society Nine, a company that will change the combat sports world as a whole. Her kickstarter found huge support, garnered her some awards, and got needed funding to get started. It wasn’t easy though. Pressure to deliver a completed and well working product is a monumental task. Le and the company had to deal with delays due to find more appropriate vendors for materials, dealing with factories that need to manufacture the products just right, and finally getting the gear in the hands of the individuals who paid good money for a high quality product. Society Nine was able to pull through the hurdles and deliver their product as promised. After signing with Bellator a few months ago, Keri Anne Taylor-Melendez was also announced to be on the GLORY portion of the upcoming Dynamtie Supercard. Tuesday they announced her opponent. Pro debuter Hadley Griffith will step up to take on Melendez at the Bellator/GLORY co-promotion September 19th in San Jose. The fight will take place at 120 pounds. 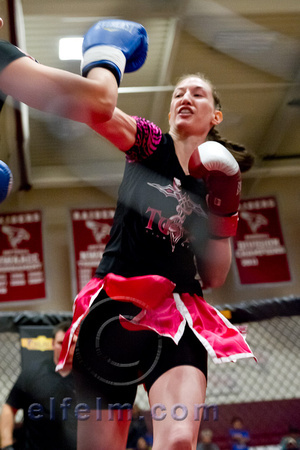 Wife of UFC star Gilbert Melendez , Taylor (2-1) is returning to action after several year off in kickboixing. Griffin has had an extensive amateur background in MMA and kickboxing and looks to make an impact. The fight will air on Spike TV September 19th. 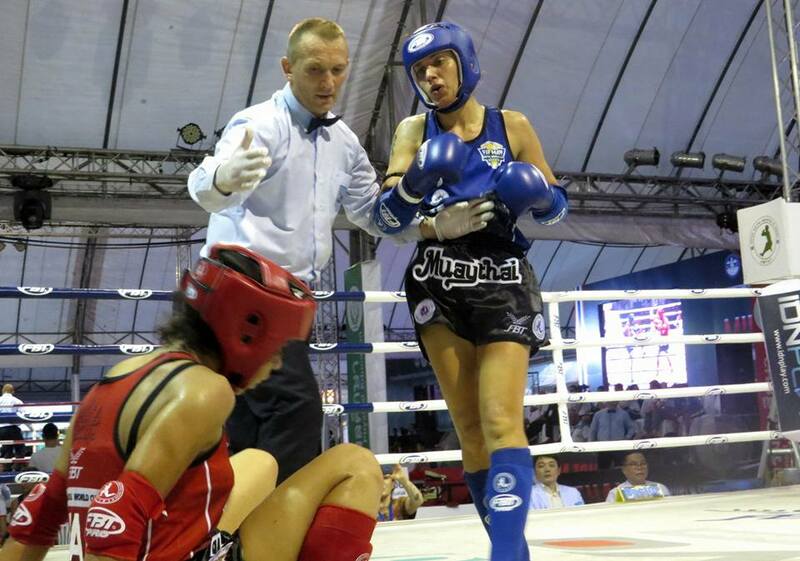 Some of the world’s best Muay Thai specialists have converged in Bangkok, Thailand for the IFMA Royal Cup tournament. The 4th event sees over a hundred female fighters from a few dozen countries to see who will stand atop the world stage. We are obtaining results as they become available, with the IFMA posting schedules on their site daily. You can see day 1 and day 2 results here. Marja Paula Buzaglo (Peru) def. ???? Rosy Hayward is an award winning Muay Thai journalist and is the head of the Female Muay Thai Group on Facebook. She is guest reporting for us on the Yokkao 13 event which happened in Bolton, England March 22. 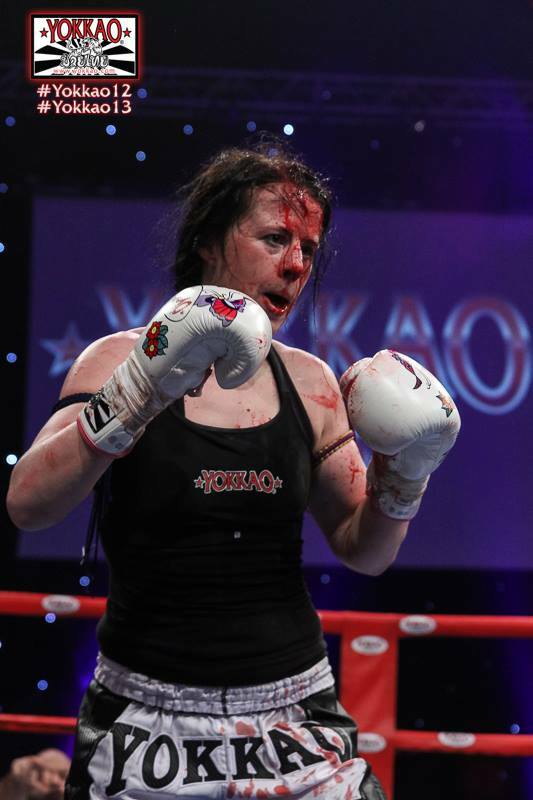 Stefania Picelli and Brian Calder organised the latest episode of Yokkao, a global promotion bringing class and style and beautiful Muay thai to fight fans the world over. At 57kg the co–main event is a Full Thai Rules match over 5×3 minute rounds and sees Bernise Alldis (England) versus Tanya Merret (Wales). The setting is beautiful, fighters make their entrance through a backdrop mimicking a starlit sky, Yokkao logos and branding emblazon the stage and all ringside personnel creating a blended scene on which the fighters and the sport is thrown into vivid relief. This is Alldis’s comeback fight following a lengthy time out. A much admired star of the sport, news of her return caused a stir internationally, her weight category is populated with legendary talent and the prospect of her adding to it with a successful showing tonight is tantalising. This is a big occasion, with much dependent on the outcome, is that pressure weighing on her? Bernise Alldis is about to climb over the ropes and jump in at the deep end of the sport again… Pressure? Her fight persona is shark like; the deep end is where she is most at home. Round two reveals that in the clinch both are strong, Bernise lands some well placed right knees , Tanya has looked dangerous with her right hand landing to Bernise’s head. Bernise has a really rangy teep that coupled with a head kick serves her well and tripping Tanya in the clinch it looks like she has the techniques to take control of the fight at all ranges. In the third round Bernise ‘s left elbow is landing well At clinch range Tanya’s strength shows and she is nullifying the attacks there. The action has been see- sawing in the fight but Bernise begins to pick her shots toward the end of the round: teep to the face, right elbow, boxing and kick combinations reign in without an equal response. When the 5th round starts both fighters have a load of ammunition left. A clinch early on has them trading knees and looking for opportunities with elbows … Tanya is cut . Bernise disengages from clinch range as blood begins to flow down Tanya’s face and zones in on the cut like a shark after its prey. As much as Bernise has learnt her skills and technical excellence – her fight style has a stripped back quality , instinctual, primal, efficient… to say she makes it look easy doesn’t cover it She doesn’t ‘make ‘ … she is. The essence of a fighter courses through her. Jab, teep, elbow it is chilling to see Bernise’s intensity as she targets that cut… like a shark on the attack, it isn’t malicious it is just how animals at the top of the food chain are -born to it. A stoppage is on the cards as an elbow lands, a spinning elbow follows and then the bell . Tanya took the fight to points, Bernise takes the win. I wondered if Bernice would carry on. Was that a toe in the water or are there more matches in line? The next day the news breaks that Lion fight have invited her to face their star Tiffany Van Soest in May. Bernise is back and it is good news for the sport. There has been many films that have covered female fighting in one form of another for the past fifty years; from documentaries to major motion pictures. The new millennium and the increase of female participation in combat sports has saw growth in to many of these stories being told. The Artemis Film Festival is looking to highlight these stories as they are currently working their first event for April 2015. They have started an Indie Go Go campaign to help get the event going. We talked to the organizers Sean Newcombe and Melanie Wise about their inspiration for the festival and how women’s combat sports have been a big part of it. Wombat Sports: How did the idea of the Artemis Film Festival come about? Artemis Film Festival: The idea came about through inspiration, really. We have all been devoted to female action films from the standpoint of the sheer joy we have for physically strong female characters, but also from the standpoint of our passion for having a positive effect on the image of women in film and culture. We’ve all been completely focused on writing and creating female action films. We thought that having a film festival focused on female action heroes would allow for people who share our passion for strong female characters to celebrate this genre. We also felt it would be an opportunity to spotlight the power of women in our culture. We wanted the festival to be a place where the legions of fans who love female action heroes could go and enjoy a array of great films in one place and at one time. (Female action films are a $3 billion industry, so this is not a niche.) The fact that such a festival had never been done before boggled our minds. By showcasing such films, we could also draw attention to women as heroes, fighters and leaders, rather than as long-suffering wives, dutiful assistants and victims. We hope that we could help change the narrative of how women are portrayed in film. Lastly, film often reflects and influences how we see ourselves, and celebrating these films, we hope, will help positively influence how women and girls perceive their power and status in culture. Wombat: Can you tell us about the festival? Artimis: We plan to show both classic female action films such as “Aliens” and “Kill Bill” and also showcase new films by unknown filmmakers in our festival competition. We want to be a venue that encourages new and unknown filmmakers to make female action films. If there’s an outlet for such films, they are more likely to be made. We are also going to have an awards ceremony for films in competition and give awards to the women who are both pioneers and stars in female action films made by Hollywood. We have sent many invites to well-known female action stars and expect to hear from them soon. Also, we want to honor stuntwomen, athletes (women’s mma, of course) and female first-responders, such as military women. W.S. : The culture has shifted in both entertainment and sports in term of female roles. What are you thoughts about the societal change? AFF: There’s has been a shift in reality, in our everyday lives, but there has not necessarily been a shift in how that reality is portrayed in the media. While Hollywood has recently realized the power of the female action film market, they’ve been slow to broaden their portrayals of women to reflect the dynamism and power that can be seen in women in every aspect of our culture. We hope that our festival will help prod a faster shift to not only more roles for women in film (right now less than one out of every three speaking characters in a Hollywood movie, on average, is female), but to stronger, better roles for women. W.S. : What kind of reaction have you seen among the female fight community? AFF: The response from women, generally, has been extraordinary! The women we’ve heard from both in social media and in daily life has been completely positive, passionate and vocal. With respect to the women’s mma community, we have not heard a lot, unfortunately. We’d love to hear more from them because we are huge supporters of womens mma! We love the sport and we’d love to celebrate it at our festival. Women’s mma is at the forefront of positively shifting societal images of female physical power. (Invicta FC and Tuf 20 are just two examples of that positive shift.) We want to honor that. W.S. : You have an indie go-go started to make this event happen. What benefits can people expect for supporting the festival? AFF: They can expect to see a festival which will properly honors the female action genre in a manner it deserves. We’d like our festival to have as broad a reach as possible so that we can include as many of the great films and as many of the women who are part of this cultural gender shift as possible. Our crowdfunding is intended to allow us to show more classic films, more films from new, unknown filmmakers in the competition and offer a chance to honor the kind of women we mentioned above. We’d also like to make sure that the experience of the people who attend the festival is as comfortable and enjoyable as possible. By crowdfunding we feel that we can offer a broader, bolder festival. W.S. : Anything you want to add? AFF: We want this festival to be fun, but we also want to open minds. The empowerment of women is at the center of what this festival is about. It’s the soul of it, in fact. Also, we’d like to say that we love your blog and are big supporters of women’s combat sports! Thank you for allowing us to talk with you about our festival! It has been the one complaint that will always linger in MMA. Fighters not making weight is probably one of the most debated topics recently, as several just can’t make the drop to a promised weight class. Some may not be suited to go down further, but some have been unable to cut properly to be on weight and look and feel healthy doing it. Dr. Nichole Teering is hoping to help in the latter case in her new book “The Weigh”. Teering’s background in nutrition and alternatrive medicine has found a more natural way of losing pounds so fighters can be their best and recover after hitting the scales. She has helped several fighters include WMMA prospect Erin McDougall make weight on a consistent basis. 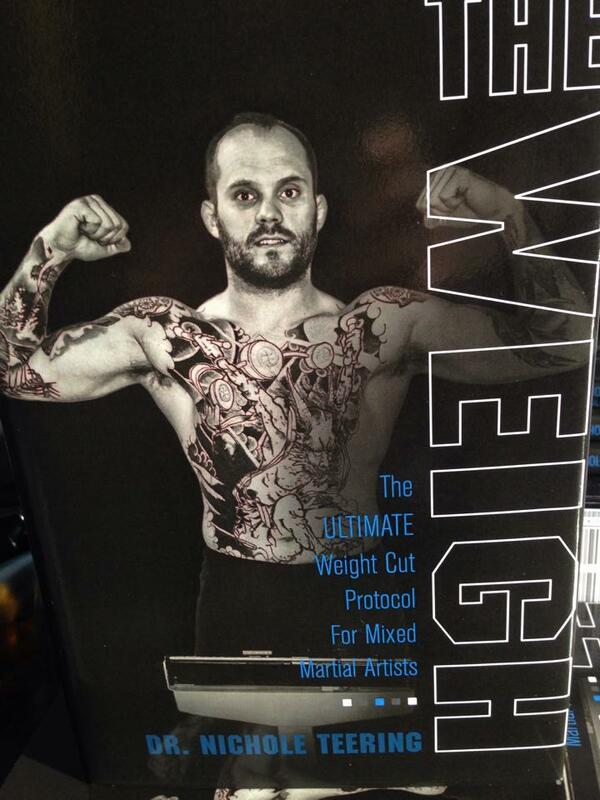 We took some time talk to Teering about the book and issues we have seen in weight cutting. Wombat Sports: How did the book come about? Dr. Nichole Teering: The reason for publishing this book was because as a nutritionist for athletes I could not stand to watch fighters put their bodies through such turmoil prior to battle. I began making programs to lessen the impact of starving and dehydrating. I became very busy customizing plans so I decided to make it accessible to the masses by publishing a book for purchase. Wombat Sports: What is the most common mistake a fighter does when cutting weight? Dr. Teering: The most common mistakes I see when fighters cut weight is that they are very extreme about the entire process. A) They believe they need to starve and dehydrate in order to make weight, and B) they are always in a rush to do it. They go from heavy training and eating accordingly then suddenly minimal training and drastically reducing calories. Then sweating too many pounds; or worse (laxatives) to finish off the cut. W.S. : Is there any signs that a weight cut isn’t working? Dr. T: Signs that a weight cut might not be working are that the athlete simply isn’t losing the required pounds, or things look like they are going in the right direction and then suddenly the fighter bloats at the wrong time. W.S. : Can you talk about the complications in cutting with women versus men? Dr. T: The biggest complication for women cutting weight as opposed to men is that there is a hormonal shift that happens once per month with females. Women can tend to retain more water at a certain time per month. If this happens to start during the weight cut then modifications are necessary. W.S. : There are times when fighters never seem to make weight and aren’t even close. When do you feel there is a line between trying to cut and simply going up a weight class? Dr. T: Good Question! I personally feel if it is that hard to make weight and the fighter has attempted various ways of making weight with failed results then its time to go up a weight class. I truly believe that weight does not equal strength within a weight class. If the fighter knows how to access his or her true strength, that few extra pounds an opponent might have in the cage is not going to make a difference. W.S. : People have different metabolisms and may have certain healthy conditions that causes them to lose weight slow or keep weight on. How important is it to know your body and what things in the book do you have to address it? Dr. T: This protocol helps the fighter to understand their oxidizer type which helps to understand how they can customize exact macro nutrients to suit their metabolism. Everyone is different so they need to find what works for them. W.S. : What makes your techniques different than others? Dr. T: The biggest difference in the technique you will find in The Weigh Protocol is that it is a more gradual process in comparison to other techniques. It is broken into 5 phases and gives the athlete a chance to experience how they respond to a more optimal way of making weight. It is designed with the athletes long term career in mind. W.S. : What feedback have you been getting from your book and techniques? Dr. T: The feedback thus far has been tremendous! Competitors are finding it easier and easier to make weight each time they attempt this protocol. Dr. T: As with any new technique I highly recommend a practice cut before it is implemented prior to a fight. With slight modifications, I have also provided this technique to many other athletes with a weight cut component in their sport. You can find out more about Dr. Teering by going to NewPathHealth.ca or check her out on facebook. You can buy “The Weigh” here.